Amita Patel is a hematology and oncology (blood & cancer) nurse practitioner. 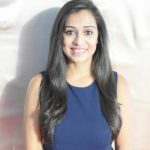 A New Jersey native and growing up with a South Asian culture, she is a proud 1st generation American and South Asian. Along with taking care of patients on a daily basis she remains involved in the nursing community with her nursing blog and being an active member of the Oncology Nursing Society. She remains passionate to educate others about nursing and health topics. She is an advocate of prevention being achieved through education. On her free time she enjoys spending time with family and friends, sports, binge-watching TV and loving life.